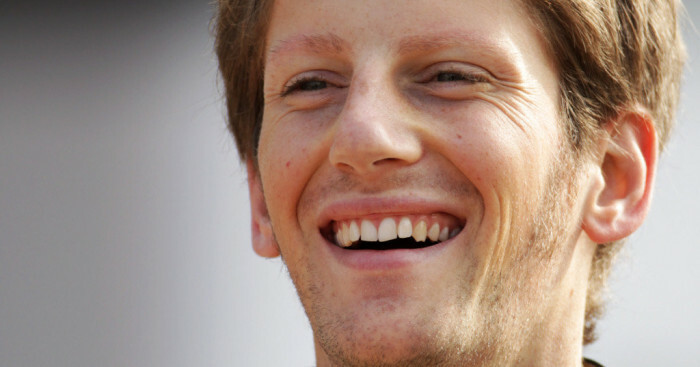 Romain Grosjean will race alongside Kimi Raikkonen at Renault next season, the French team have announced. Grosjean replaces Vitaly Petrov who has spent the past two seasons with the team. Petrov and Bruno Senna, who occupied Renault’s second race seat for the back end of last season, are now both without drives for next season. Petrov did himself no favours in his bid to retain his spot by heavily criticising the team in the run up to the Abu Dhabi GP, saying that decisions made on the pit wall and poor pit stops where costing him points. The decision marks a remarkable return for Grosjean who was discarded by the Enstone outfit at the end of 2009 after half a season in the sport. The 25-year-old responded to his sacking by winning the 2010 Auto GP series and following it up with the GP2 title this year. “I am thrilled to be one of the team’s race drivers in 2012. There’s a big grin on my face at the prospect of getting behind the wheel of next year’s car, and I feel very privileged to be given this opportunity,” said Grosjean. “To be racing alongside a former World Champion and someone who is hungry and returning to Formula 1 will be a great experience, and I’m sure will help raise my level of performance too. The deal is sweetened for Renault by the fact that Total have committed their future to the team. Renault owner Gerard Lopez believes that Grosjean fits in well with the team’s new approach. “Only last week I reiterated that the team is at the start of a brand new cycle,” he said. Baku: the birthplace of the Ferrari fightback? What strategy should Ferrari have chosen?